Preston Howard spent his entire career working on behalf of police officers, representing them under adverse circumstances, negotiating contracts to improve officers’ benefits and working conditions, and training police union officials in the art of leadership. He has written numerous books and lectured not only in this country but abroad as well. 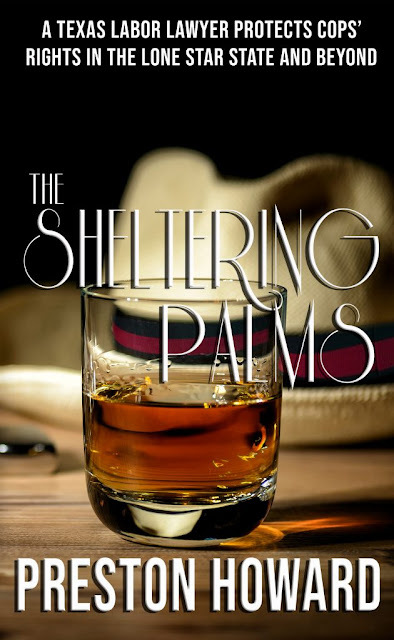 His latest book is the fictional autobiography/historical fiction/satire, The Sheltering Palms. 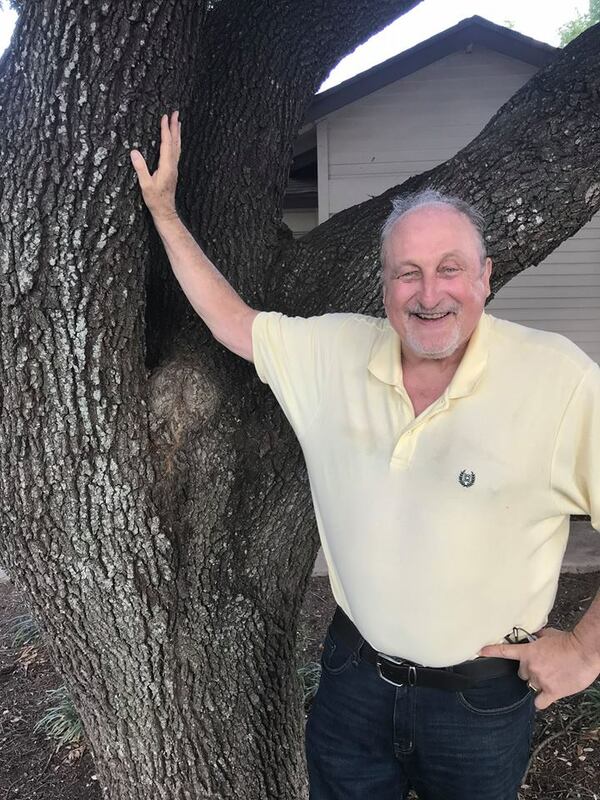 Renowned police labor lawyer, Preston Howard, reached a watershed in his life—a forced retirement from the firm he built from the ground up and a cancer diagnosis. These two events made him take a step back and reflect over a life that had at times been hilarious, irreverent, self-mocking, eerie and even a bit, make that, quite lewd. A family of unique characters guided the lawyer’s formative years: a bourbon-swilling, brilliant yet flawed grandfather who mentored the young lad in matters of religion, politics and the quest for knowledge; a psychic mother; an oversexed nanny; an aunt and uncle who fought on the front lines of integration; and a fire-balling uncle who got his fifteen minutes of fame in The Show. Preston Howard first made his mark as a crime-fighting attorney representing the Tucson Police Department. Then he spent over forty illustrious years as a labor lawyer working with police officers and union leaders and handling the gamut of fascinating, high-profile cases across the country and even in other countries. His many tall yarns might be viewed by some with the greatest suspicion, but his story-telling is undeniably first-class, witty, and absorbing. I spent an entire career representing police officers and unions. As my retirement loomed, I realized there was a lot of material from my body of work to turn into a book. I began making notes and working on some initial chapters. When I retired, there was ample time to concentrate on and finish the book. 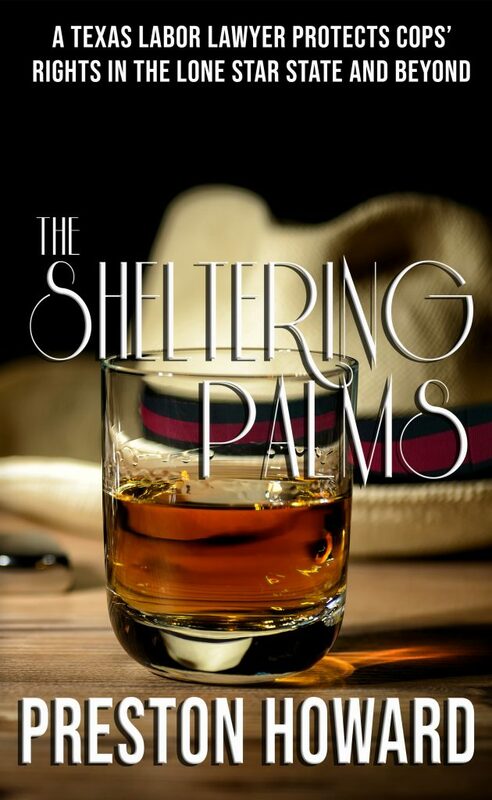 The final result is my novel titled The Sheltering Palms. It was somewhat easy to write because of the knowledge I had about the subject matter. My only problem was that the completion of three professional books didn’t prepare me initially for a different style when writing a novel. The best advice, which many other authors have passed on well before me: write what you know about! First, that I needed a first class editor to tune it up. Second, if you want to have your book recognized, then hire a top notch book marketing firm to assist you, unless of course your publisher takes care of it. Q: What's one fact about your book that would surprise people? A number of other writers, including my editor and a colleague, have observed that it is a really well written book. You never really know as your slogging through the nouns, verbs, etc. That people who make mistakes and fall down in their life can get back up and redeem themselves. No, I’ve probably said too much as it is!